When Harriet Hodder asks a favor of her best friend, Charlotte Reynolds, Charlotte is happy to oblige. Harriet’s young daughter, Alice, will join Charlotte and her three children at the school fair while Harriet attends an accounting seminar. Since Harriet has never left Alice with anyone before, Charlotte encourages her friend to enjoy her time away. But when Alice goes missing at the fair, the police investigating the case uncover conflicting evidence relevant to the girl’s disappearance. Could Alice’s vanishing have anything to do with the abduction of a young boy in a nearby village? Does the fact that Charlotte was looking at social media on her phone when Alice disappeared point to her unsuitability as a caregiver? Why doesn’t the alibi of Alice’s father, Brian Hodder, hold up under scrutiny? Is Harriet’s absentmindedness a figment of her husband’s imagination, or proof of something more sinister at work? 1. Compare and contrast Harriet Hodder and Charlotte Reynolds. How does Harriet view Charlotte, and vice versa? In what ways does their friendship seem out of the ordinary? 2. How does Charlotte’s momentary distraction implicate her in Alice’s unexplained disappearance? How does her behavior appear in light of her willingness to supervise four children at a crowded school fair? In your opinion, to what extent does Charlotte seem deserving of the attacks she receives from strangers on social media, and, to some extent, her friends? 3. “It pained [Harriet] to be away from Alice. It made her heart quite literally burn, but no one understood that” (p. 23). How does the intensity of Harriet’s attachment to Alice relate to her own upbringing as a child? Given that Harriet has never before been separated from four-year-old Alice, how typical does her level of anxiety seem? 4. How does the specter of Mason Harbridge, the little boy missing from a nearby village, hang over Alice Hodder’s disappearance? Why do the characters in the novel continually reflect on his alleged abduction? 5. “I need to know what [Charlotte] was doing when our daughter went missing . . . because she obviously wasn’t watching Alice” (p. 56). To what extent does Brian Hodder’s fury at Charlotte Reynolds seem justifiable? What does Alice’s disappearance reveal about the nature of Brian’s marriage to Harriet? 6. How does the author’s decision to narrate the novel through both the present- and past-tense perspectives of Charlotte and Harriet complicate the story the reader must unravel? Of the two perspectives, which did you find more compelling, and why? 7. “Harriet liked having Angela in her life. She thought they could have been friends in very different circumstances” (p. 121) Describe Detective Angela Baker, the family liaison officer assigned to Harriet and Brian Hodder. How does Brian feel about Angela’s presence in his home? What does Angela think of their marriage? 8. In what ways does Charlotte’s friendship with Audrey differ from her friendship with Harriet? Of the two women, whom would you say is Charlotte’s closer friend, and why? 9. The depictions of fatherhood in Her One Mistake span a spectrum from abject neglect to selfless sacrifice. In your discussion, compare and contrast the paternal instincts of Tom Reynolds, Brian Hodder, and Les Matthews. How do their behaviors compare to the book’s depictions of motherhood? 10. At what point in the novel did you become aware of disputed facts that called into question the reliability of the narrator? Whose version of the truth did you find more credible? Why? 11. How does Brian’s concern for Harriet’s mental health undermine her self-confidence and sanity? To what extent does his ongoing characterization of events qualify as gaslighting? What possible motive would Brian have for this behavior? How else might one interpret the bizarre and inconsistent things happening to Harriet? 12. “Harriet read through her notes and the discrepancies between what Brian said and what he tried to make her believe, until she was confident she knew the truth” (p. 146) How do Harriet’s entries in her journal enable her to reject her husband’s version of events? To what extent is her contemporaneous written account persuasive for you as a reader? 13. Why does Harriet deliberately conceal her ability to swim and her father’s existence from her husband? 14. To whom and to what do you think the “one mistake” in the book’s title refers? 15. What does Charlotte’s willingness to help Harriet in Cornwall, despite learning about her friend’s ongoing deception, suggest about her character? What compels Charlotte to ignore her instincts to help Harriet? 16. “She’d never have been able to consider that she could be capable of murder, but then being a mother can make you go to extraordinary lengths” (p. 307) Discuss whether you believe Harriet is innocent or guilty of murder. Why does her unplanned pregnancy with George serve as the catalyst for her plan? 1. Trust is a recurring theme in Her One Mistake. Ask members of your book group to consider times in their lives when they have entrusted friends and family with significant responsibilities. Discuss whether they considered the many possible consequences or outcomes of those arrangements. You might want to use the central example of the novel—the disappearance of a friend’s child on one’s watch—as a starting point for your discussion. 2. Brian Hodder’s repeated, deliberate attempts to manipulate Harriet’s recollection of events and to compromise her ability to tell fact from fiction exemplify gaslighting, a word whose meaning was established in popular culture after the 1939 play Gas Light by Patrick Hamilton, and two subsequent film adaptations. With members of your book group, discuss how Brian’s efforts jeopardize Harriet’s sanity and her personal integrity. If your book group wants to explore the subject further, consider holding a screening party of the 1944 film Gaslight starring Ingrid Bergman and Charles Boyer. Alternatively, ask members of your group to consider how the contemporary phrase “fake news” in social media connects to gaslighting. 3. Innocent or guilty? Ask your book club to imagine that Harriet Hodder is the defendant in a criminal trial in which she is accused of having caused the death of her husband, Brian. Divide members of your book group into two teams, one of which represents Harriet and the other of which prepares to prosecute her. What arguments or evidence from the novel would each team use to persuade the jury? 4. The friendship between Harriet and Charlotte gets irreparably damaged by Harriet’s scheme. Encourage members of your group to reflect on friendships in their lives that have become broken. If they’re comfortable being candid in sharing their recollections, collectively explore the sorts of problems that can commonly emerge in the course of female friendships. Your book club may want to distinguish between childhood and adult friendships in its dialogue. Heidi Perks was born and raised in the seaside town of Bournemouth on the south coast of England. 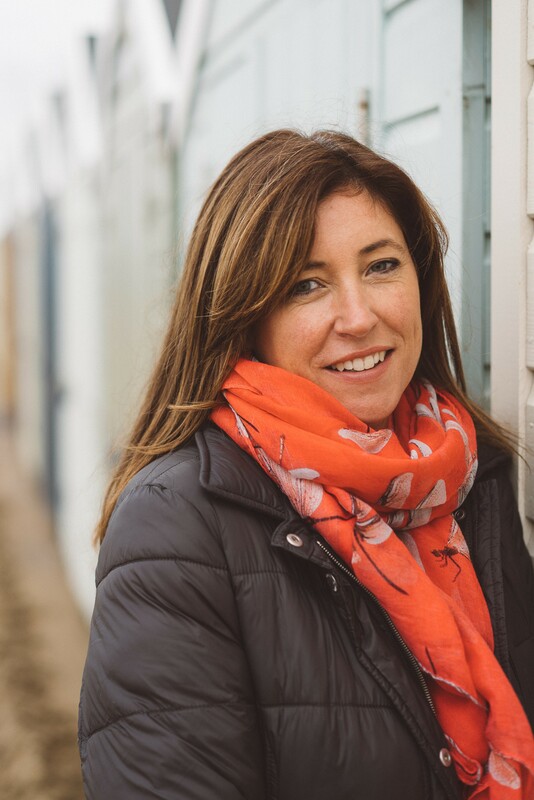 After moving up to London for a short stint, she has since moved back to Bournemouth where she now lives with her husband and two children. Heidi has been writing since she was small, though for too many years her day time job and career in marketing got in the way. Now she writes full time and cannot think of anything she would rather be doing. "I flew through this book, desperate to unravel the secrets within. A chilling, captivating story of friendship, motherhood, and deceit, HER ONE MISTAKE kept me guessing until the very end." 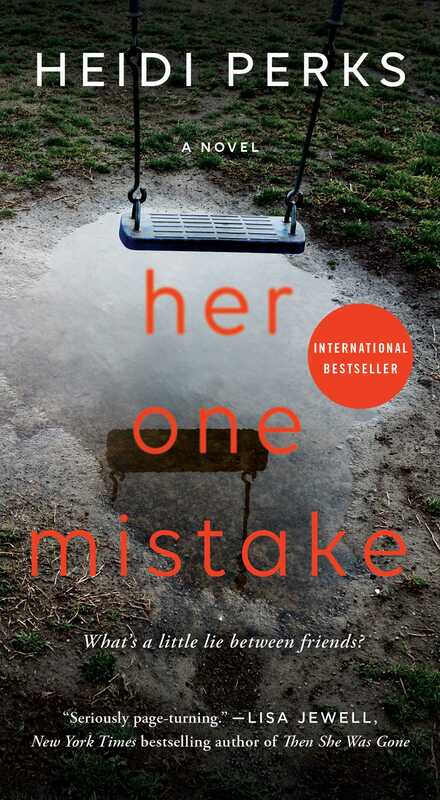 "Her One Mistake is a breathtaking, bone-chilling work of psychological suspense. An outstanding debut that had me guessing right up to the very end." "Perks lays down a major twist halfway through, but the book is also a clever, thoughtful study of the fraught power dynamics between women — as well as the people they love (and, sometimes, fear)." "In the vein of Big Little Lies, Heidi Perks's latest thriller gives domesticity a biting edge when a mother's only daughter goes missing, vanishing under the watchful eye of her best friend Charlotte." "...this psychological thriller is one you can't afford to miss." "The narrative is full of twists and turns...the ending is shocking and totally unexpected."